Daniella Ashkenazy was born and raised in the Washington, DC area and immigrated to Israel in her early twenties. She is a mother of three adult children and four grandchildren and a well-known Israeli freelance journalist. 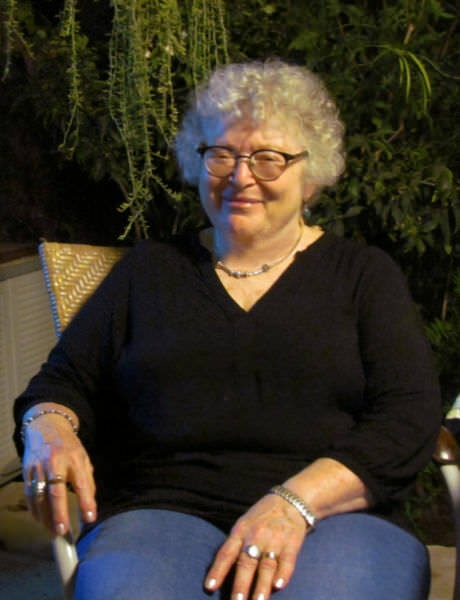 For the past three decades, Daniella Ashkenazy’s free-ranging works have appeared in Hebrew and English in Israel’s leading papers and periodicals — the Jerusalem Post and Israel Scene to Davar and Yediot — and abroad. Her features were often quoted on the radio among the “best reads” of the weekend papers. Ashkenazy also runs an indie news outlet, Chelm-on-the-Med Online, seeking to balance conflict-driven news about Israel by sharing, in English, the wildest and wackiest news stories “hiding” in the Hebrew press. Parallel to journalism, Ashkenazy freelances as a researcher-writer-translator-developmental editor for academics and as a copywriter. She also translates classic works by leading Israeli children’s book authors into English, such as Datia Ben-Dor’s Tickles: Hands-on Rhyming Games for Tots. IItamar’s Dog is Ashkenazy’s first book for children. The concept for Itamar was born from a lifetime love affair with the Hebrew language and the Ashkenazy’s succession of rescue dogs — Keli, Mimi, Grace, and Keli II.